Why exactly BOTAS? We´ve got a very long and interesting history . . .
BOTAS has extended its network of partner stores in Prague by BOTAS 66 STORE - Skořepka 4, Prag 1 - Old Town and BOTASMANIA - Vršovické Square and in Bratislava by BOTAS CONCEPT STORE BRATISLAVA. 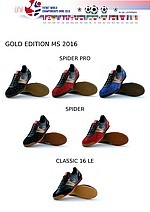 BOTAS presented in 2015 extended offer of exclusive collection of footnet shoes. The BOTAS brand was awarded with the Consumer Superbrands 2015 in the sports footwear category. The Superbrand title is granted to the best brands on the market. These successful brands are then invited to the Superbrands programme, helping to strengthen and support their popularity through collective campaigns, surveys and publications. BOTAS presented its exposition in the Czech House at the 2014 Winter Olympics Games in Sochi. In 2005 the exhibition called “100 Years of Czech Design” was held in Berlin. BOTAS shoes had honourable position there. 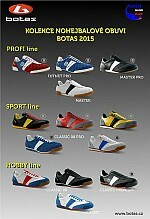 In the same year BOTAS shoes were registered among 100 TOP Czech design icons. renaming the company - BOTAS a.s.
Czechoslovak volleyball players wearing BOTAS shoes won silver medals in the Olympic Games in Tokio. The company was established on July 4th,1949 under the name Botana. It was built upon centuries of shoemaking tradition in the Skuteč region.